Torosaurus lived during the same time period as its close relative Triceratops. 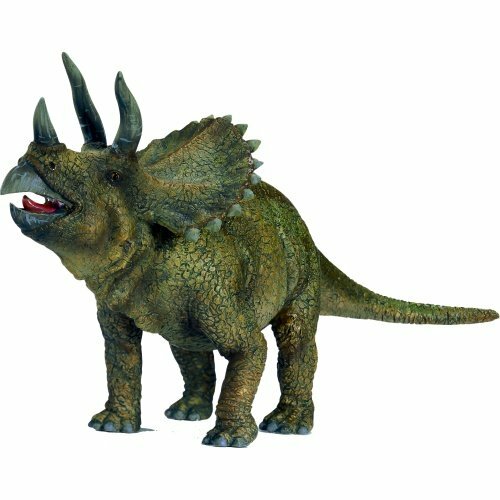 But while Triceratops is a common dinosaur, Torosaurus is rare and may not have existed in such great numbers as Triceratops. Torosaurus was smaller than Triceratops, even though its skull was bigger. Torosaurus was also closely related to Anchiceratops, Arrhinoceratops, Pentaceratops, and Chasmosaurus.The first two Torosaurus specimens were a pair of skulls found in Wyoming in 1891 by John Bell Hatcher. They were described by Othniel Marsh later that same year. These two skulls were named Torosaurus latus and Torosaurus gladius. 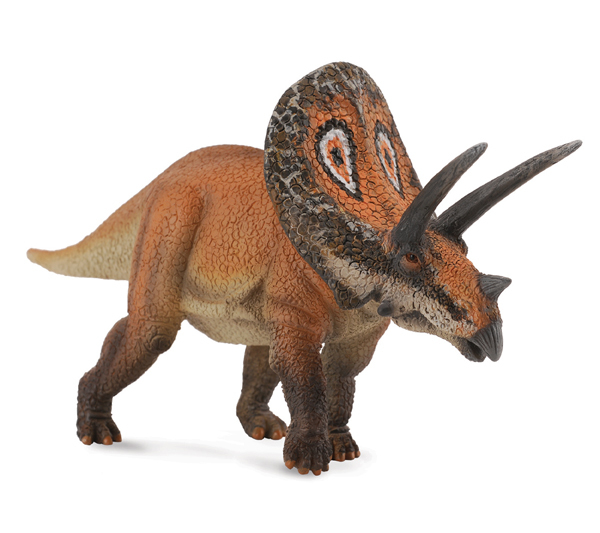 Paleontologists now believe all Torosaurus specimens belong to one species, Torosaurus latus. Its skull had a large flaring neck frill that was over six and a half feet high; it had the largest skull of any known land animal. The size of the skull along with the two very long and robust brow horns were the inspiration for the name Torosaurus, which means “bull reptile.”Although very large, the neck frill of Torosaurus was thin, and the two fenestrae (openings) were large and oval-shaped. Some specimens show extra openings along the sides of the neck frill. 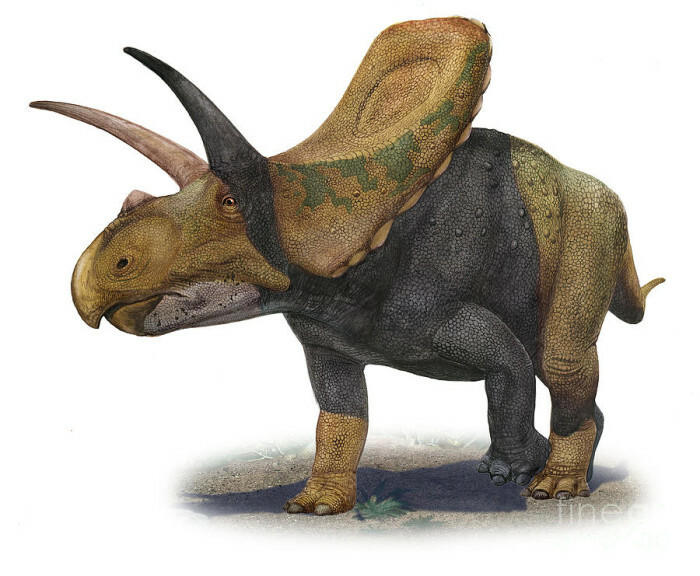 Torosaurus had a small, drawn out beak that was topped by a short nasal horn. Very little is known about the rest of the skeleton of Torosaurus. The few pieces of skeleton that have been found show that it probably looked similar to the other chasmosaurine ceratopsids.